The EPUFFER MAGNUM Electronic Cigarette and Electronic Cigar appeared on “The Doctors" count down for the Top 10 Health Trends. The Doctors shared a positive opinion of the product, suggesting that it was a much healthier alternative for current smokers. 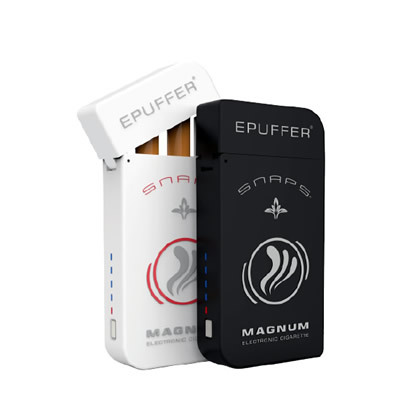 To test the effectiveness and " feel " of the product they had a volunteer try the EPUFFER MAGNUM Electronic Cigarette. Being so satisfied with the product she quit smoking regular cigarettes altogether, and that was only after 2 days of using the EPUFFER MAGNUM e-cigarette! She also stated that she would definitely suggest the product to her friends and family. 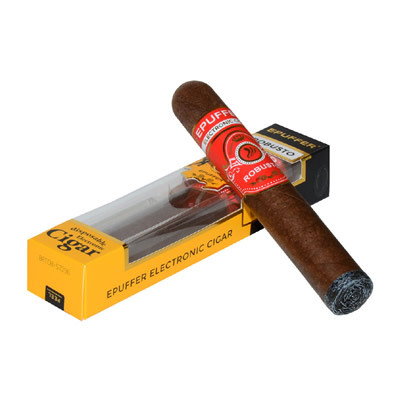 The EPUFFER Electronic Cigarette looks and feels like a real tobacco cigarette, making it comfortable and easy to use by any smoker. 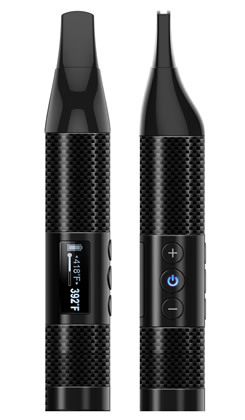 It comes in two parts - the first is a rechargeable lithium Inteli battery with a built-in micro computer and the other is a disposable atomized cartridge. Inside the cartridge you will find the nicotine pad and atomizing mechanism. Once the disposable cartridge is finished, all you need to do, is simply replace the used cartridge with fresh one. No cleaning or maintenance is required. A main advantage of this device is the atomizer is never reused, so you don't have to worry about problems including nicotine build-up, clogging and residue. 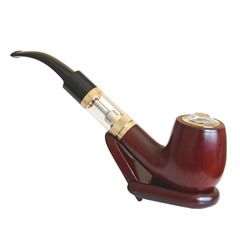 Smoker will draw in a Vapor that looks virtually the same as a smoke from real tobacco cigarette.